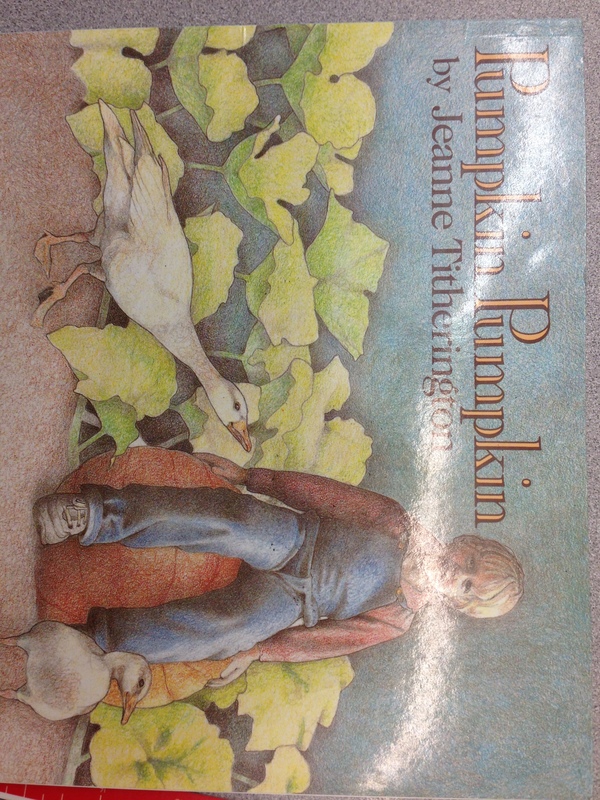 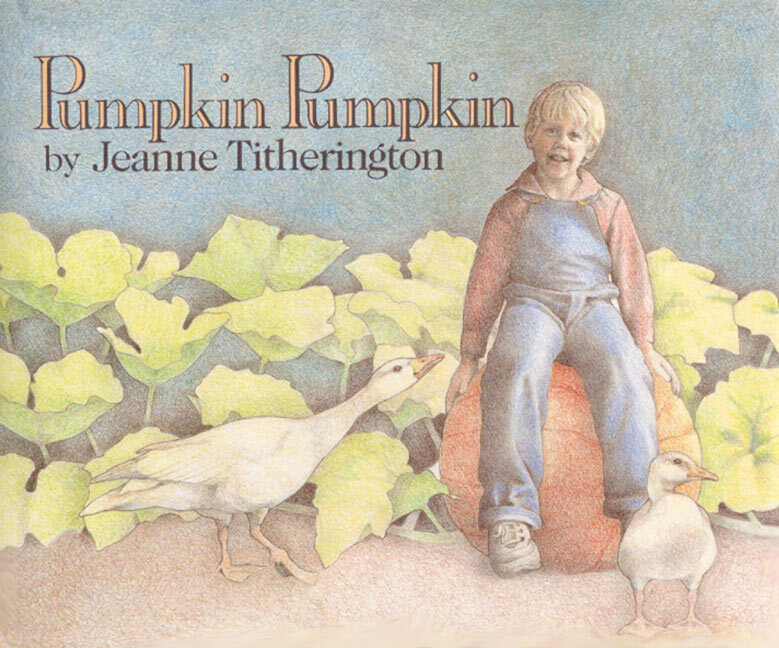 Today as we continue our fall science unit we read the book Pumpkin Pumpkin by Jeanne Titherington. 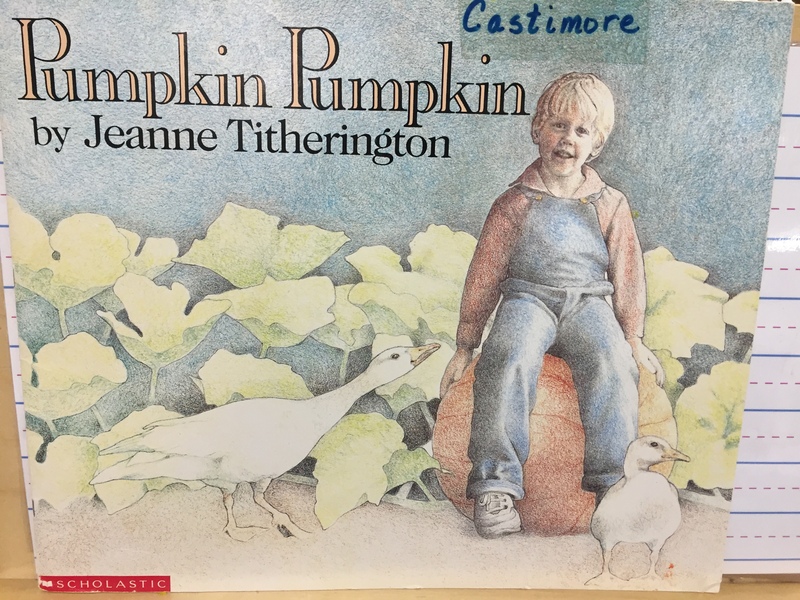 Pumpkin Pumpkin is a book that follows a boy that found some pumpkin seeds that planted them and watched the pumpkin grow. 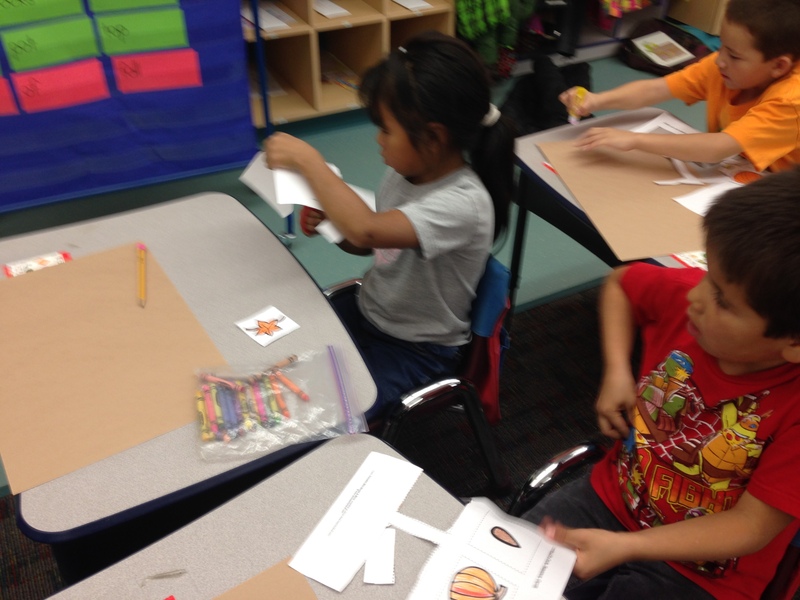 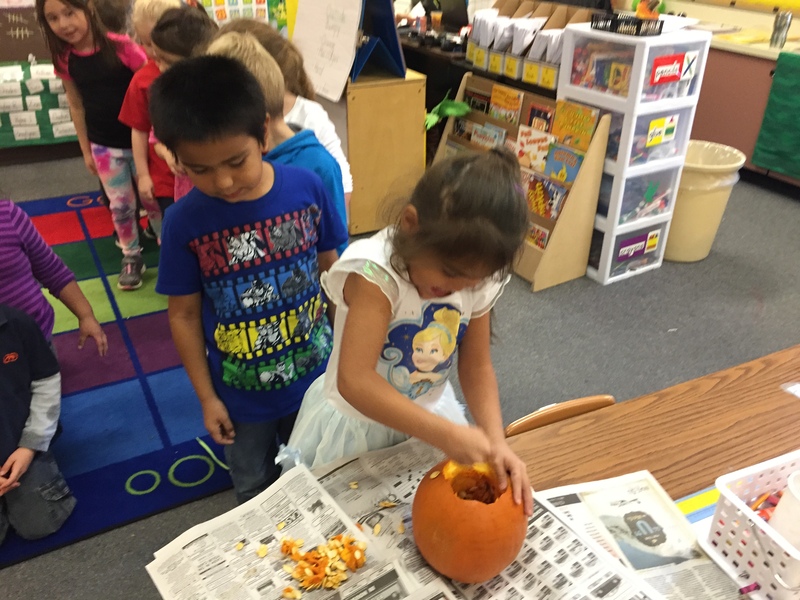 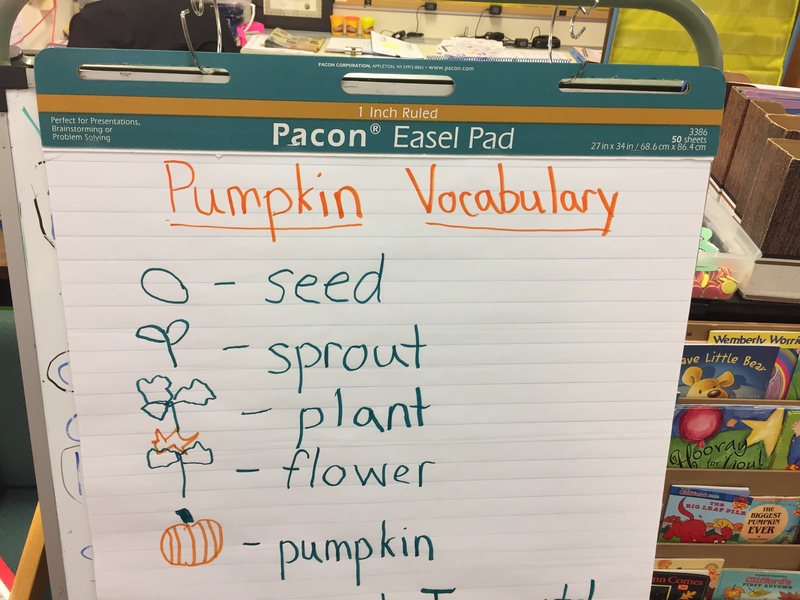 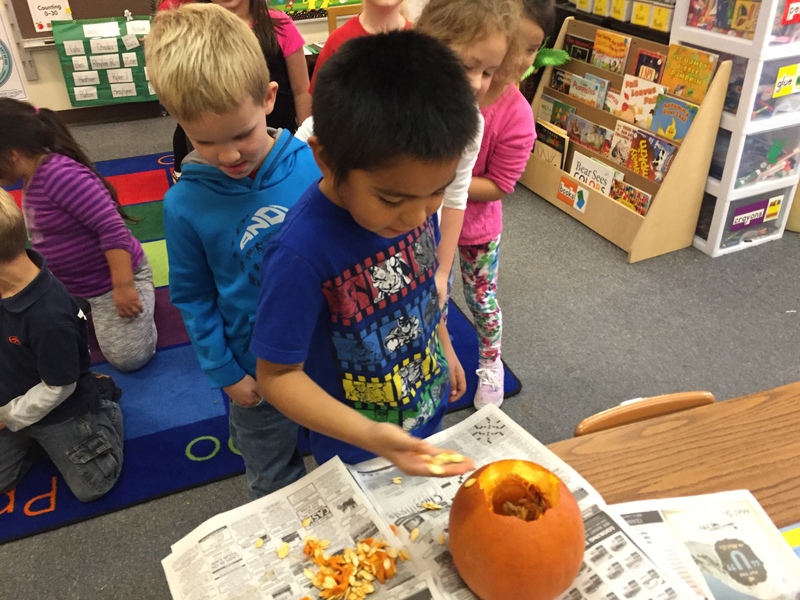 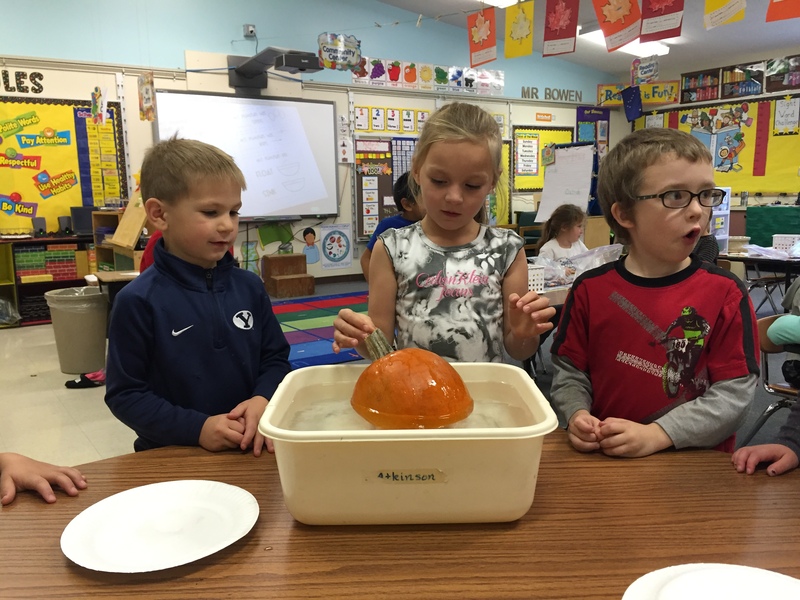 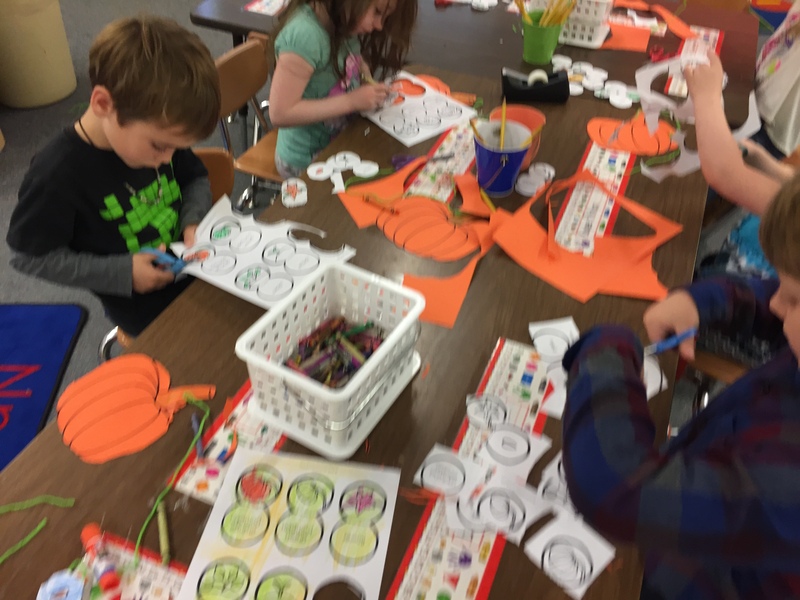 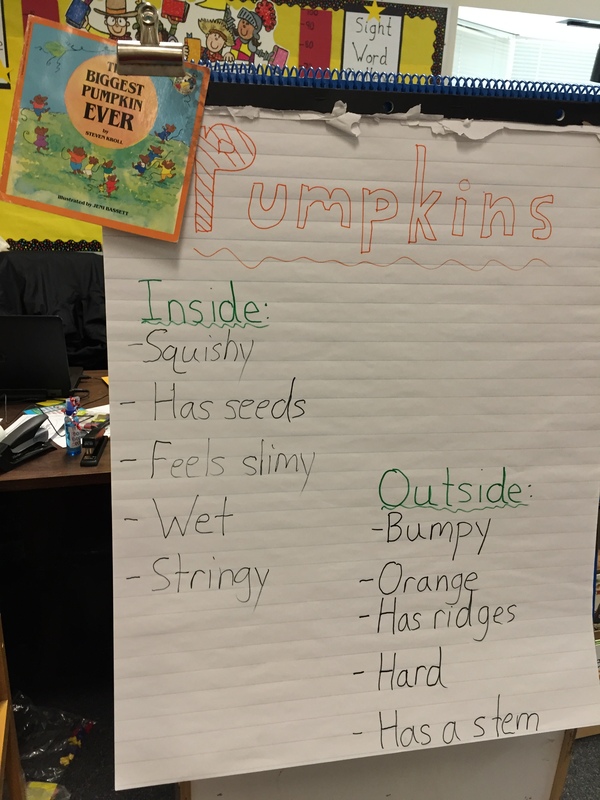 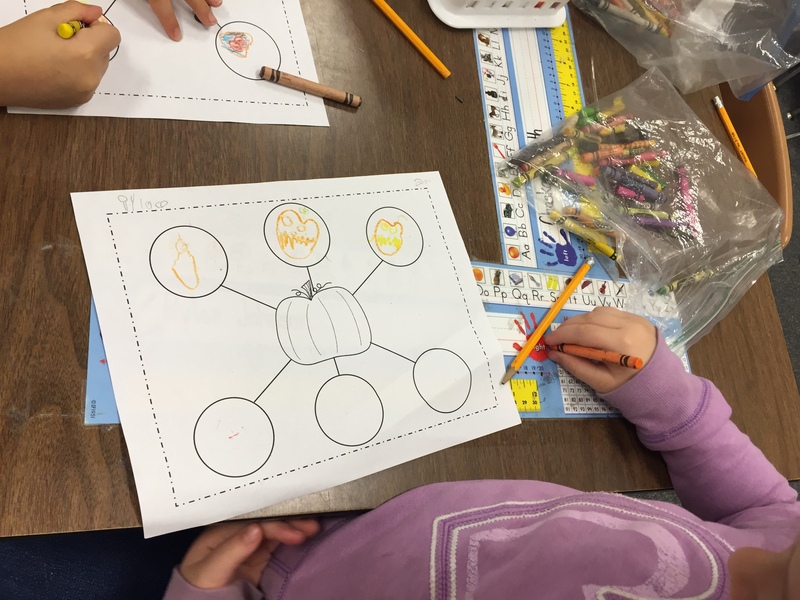 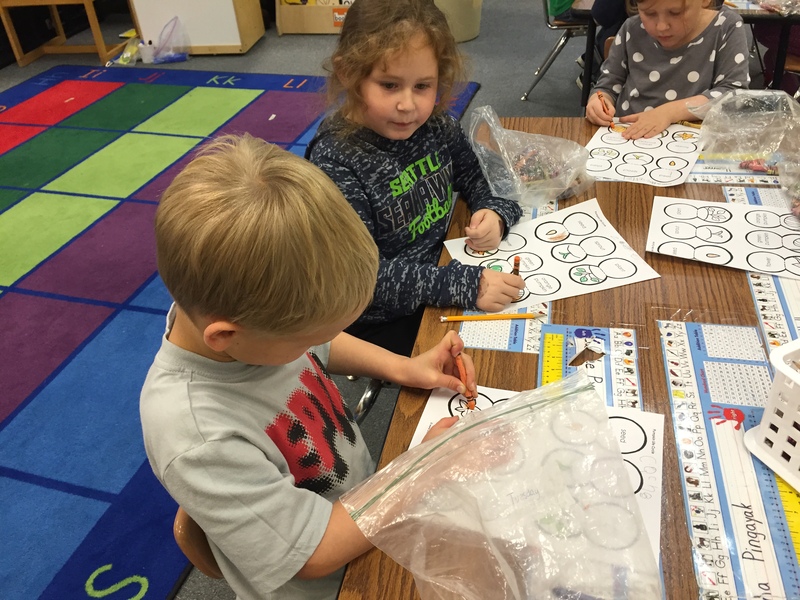 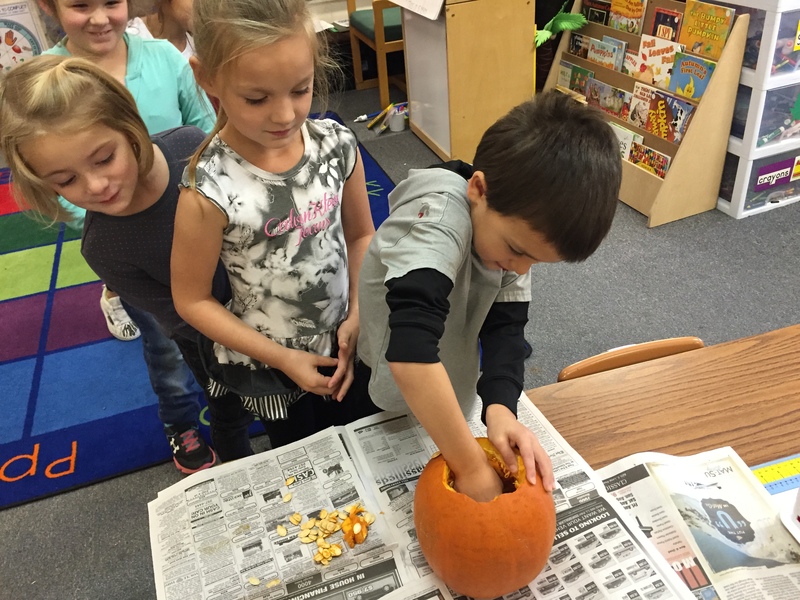 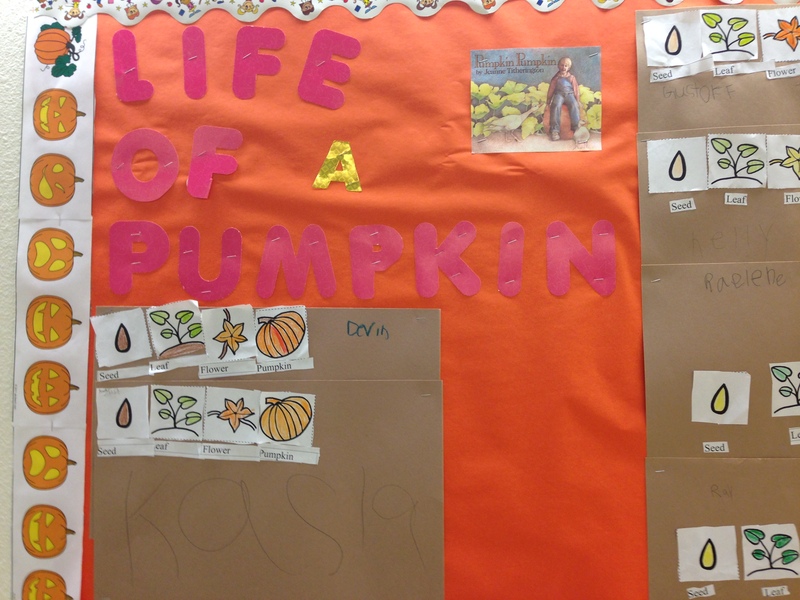 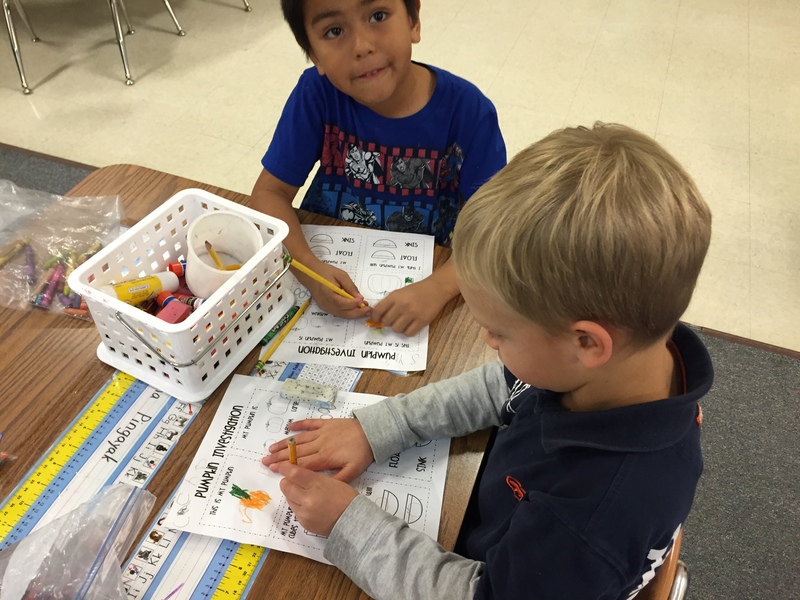 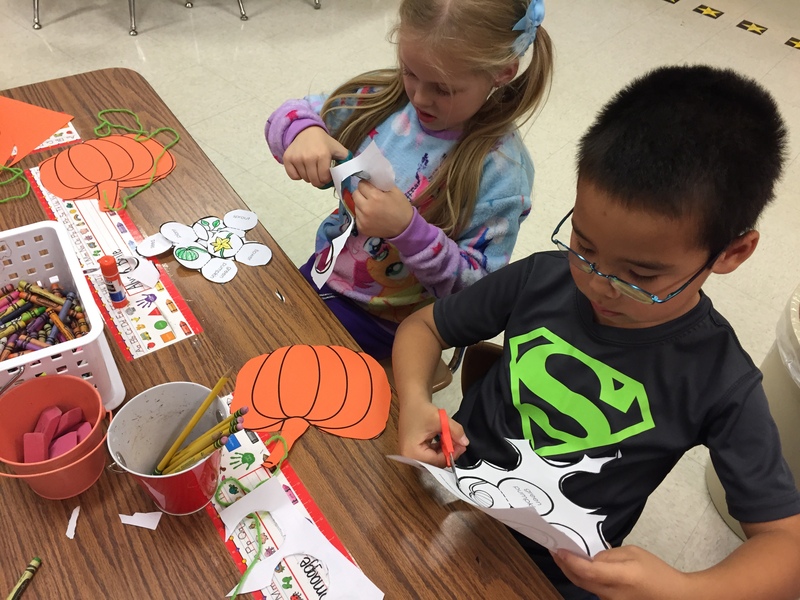 Students learned different pumpkin science vocabulary and the life cycle of a pumpkin. 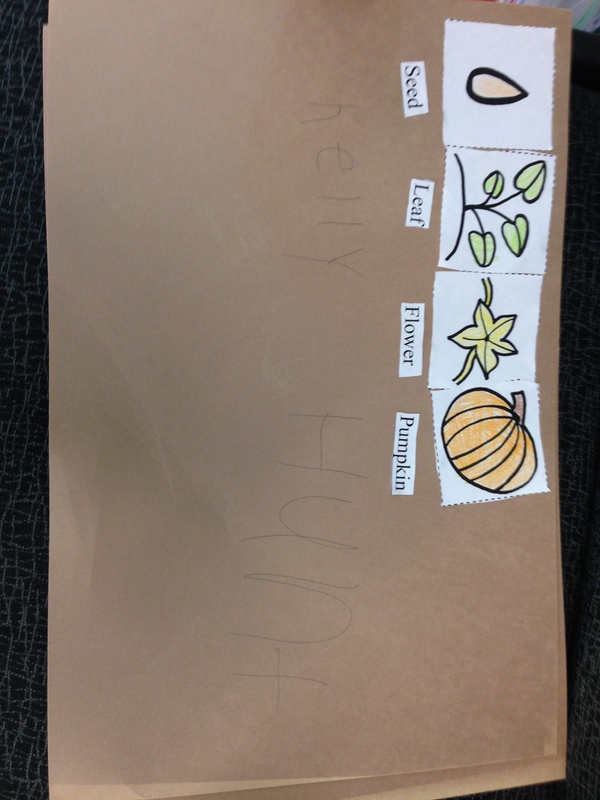 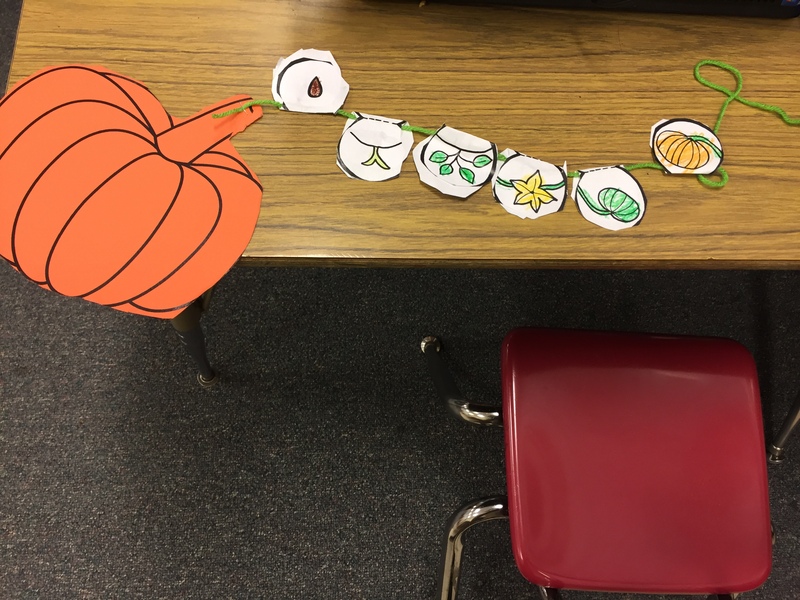 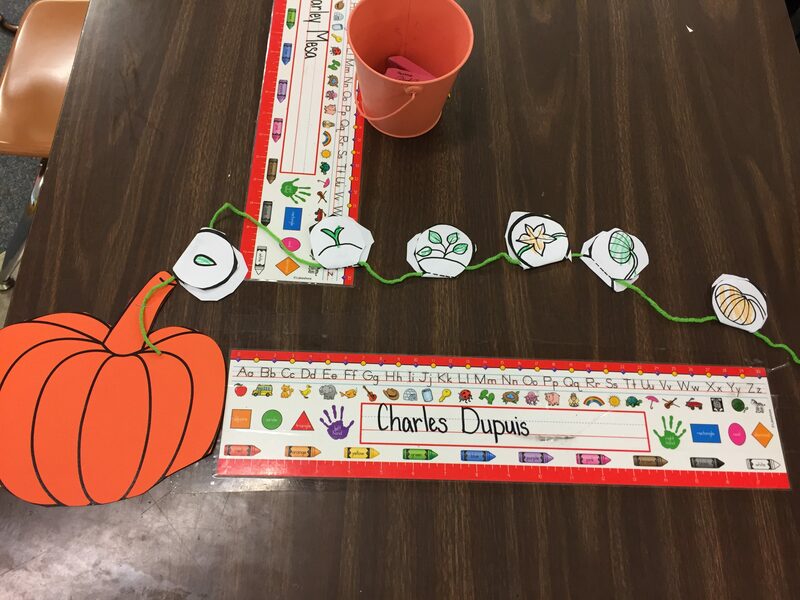 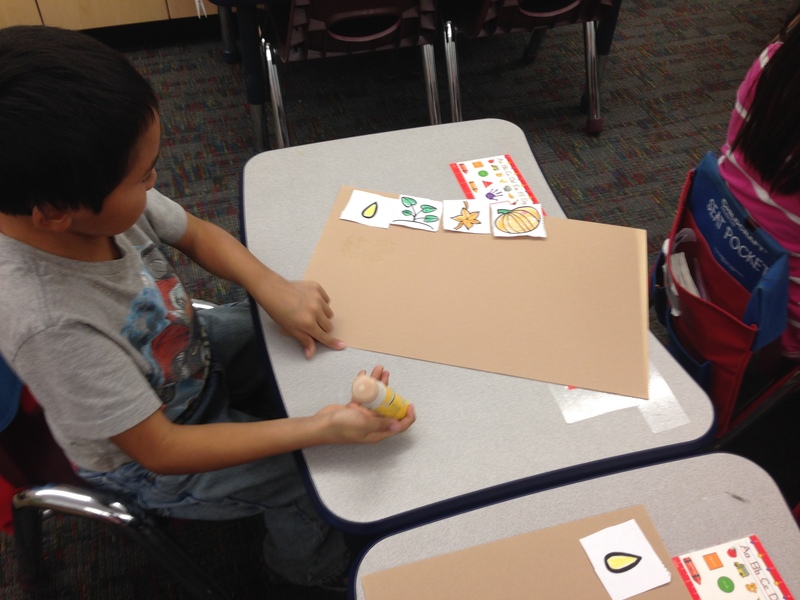 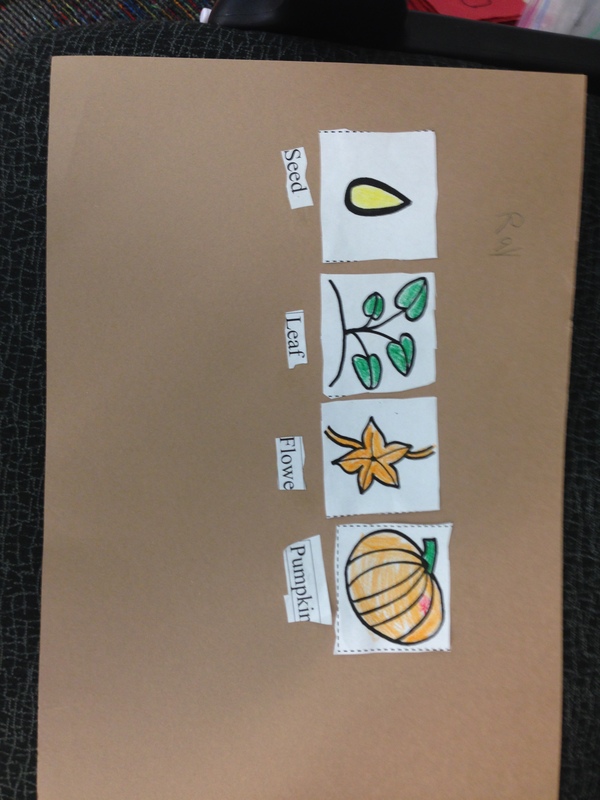 Finally students retold the sequence of the story by putting in order the life of a pumpkin seed in a A-Z Teacher Stuff craft. 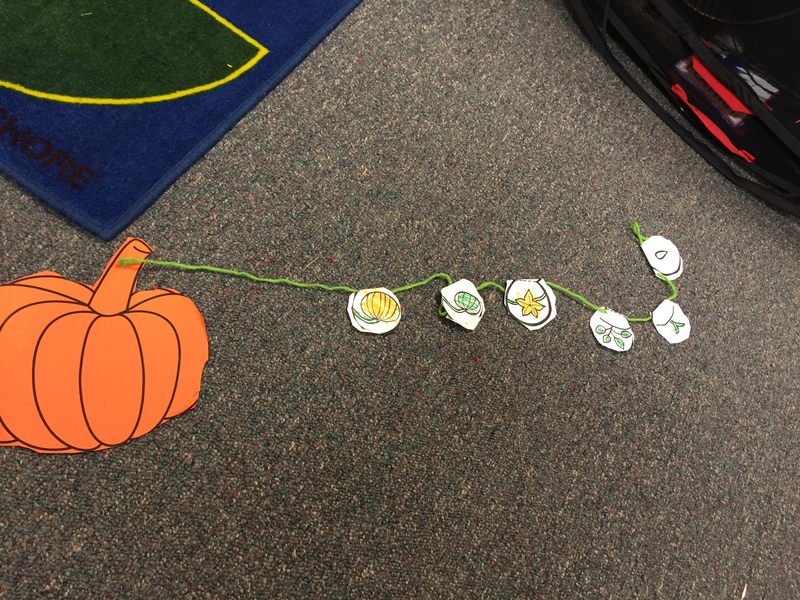 We read the story Pumpkin Pumpkin and discussed the life cycle of a pumpkin. 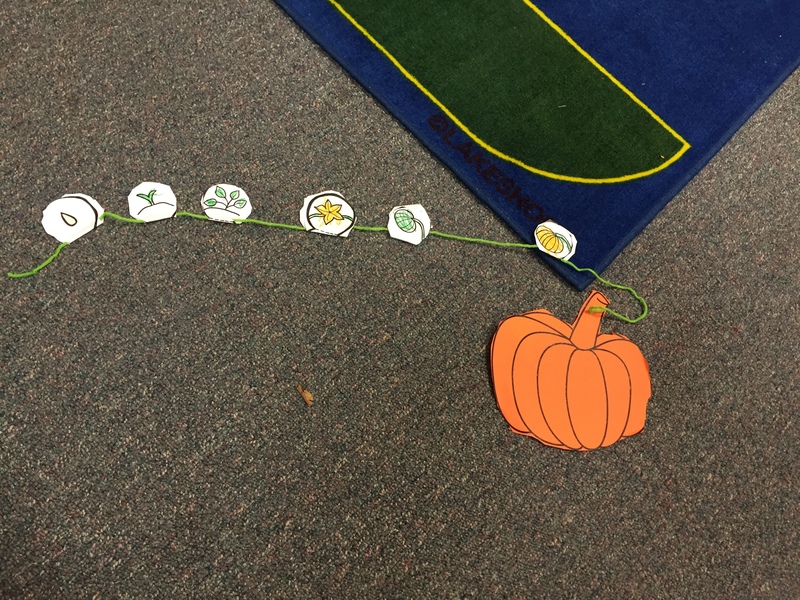 Then we created pumpkins with vines on them that show the order of how a pumpkin grows. 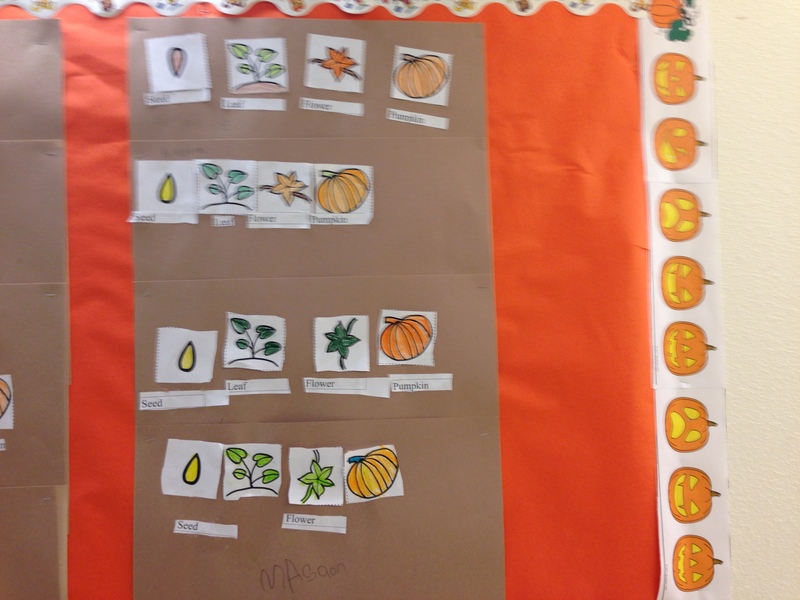 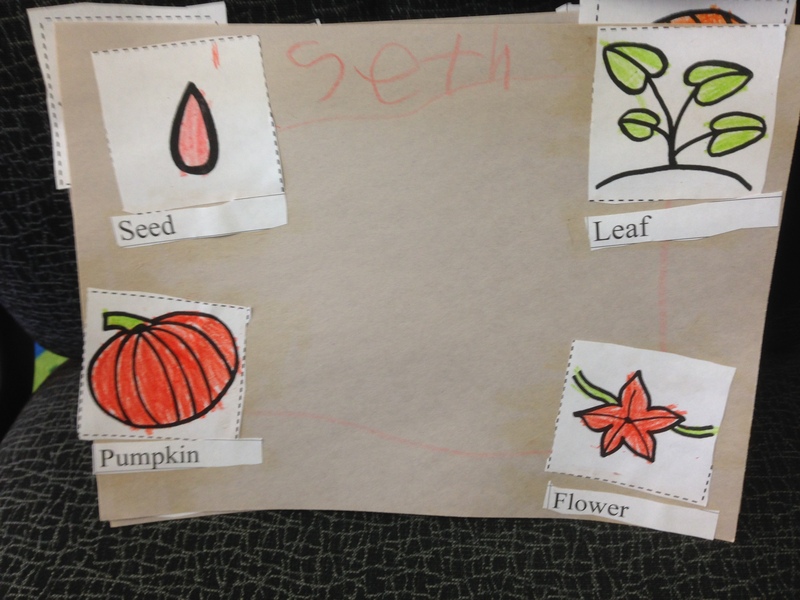 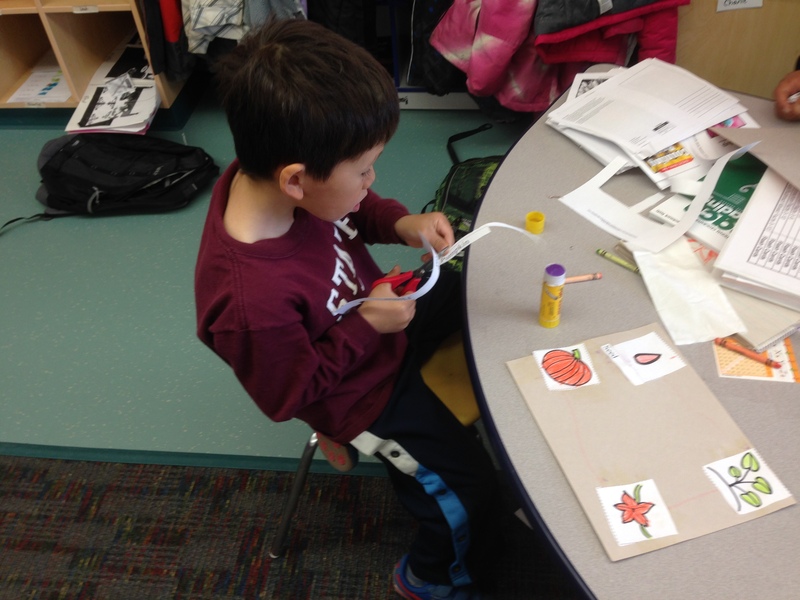 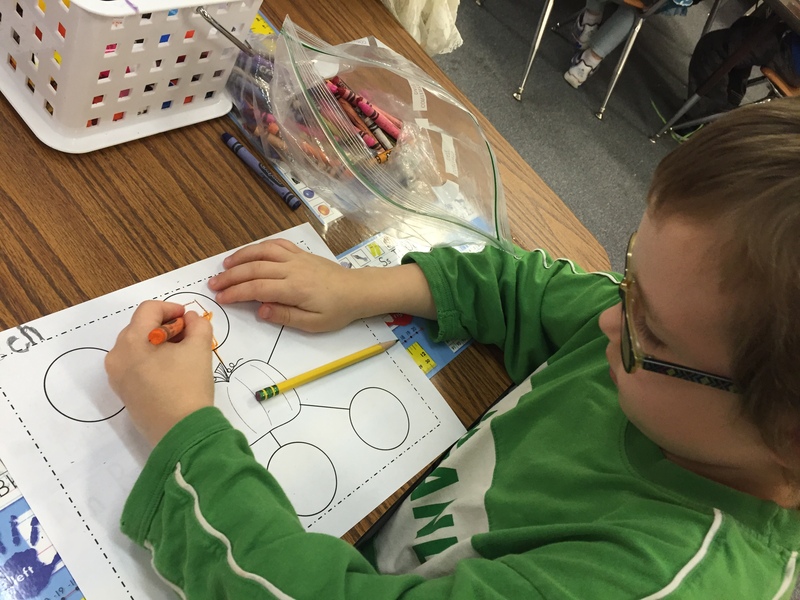 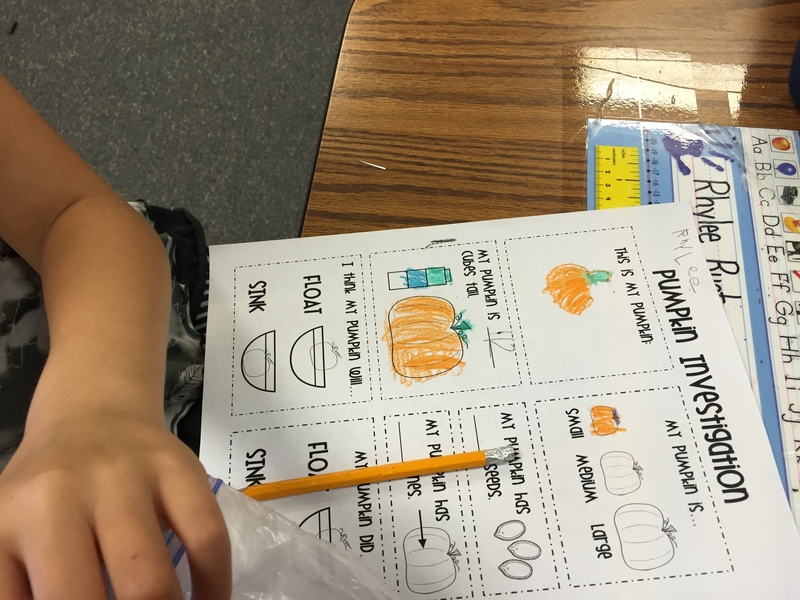 This last week we moved on in our fall unit, and started our mini unit on pumpkins. 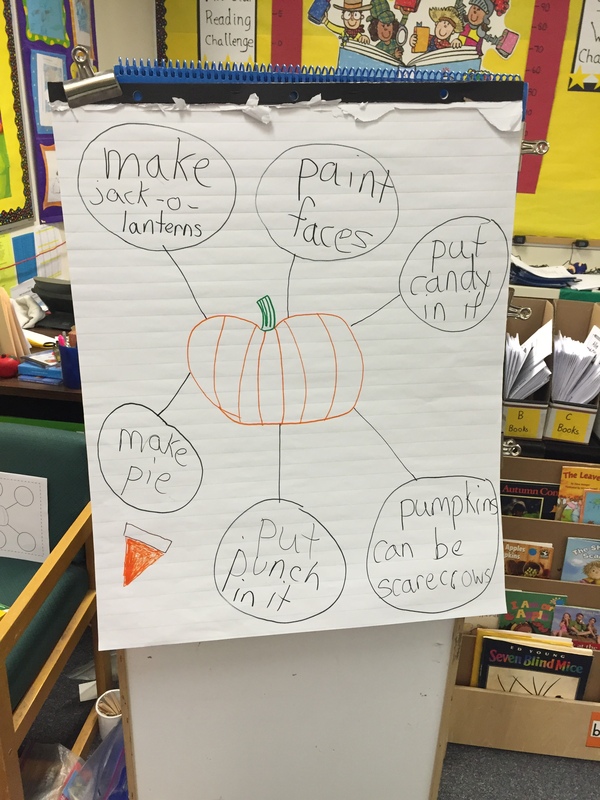 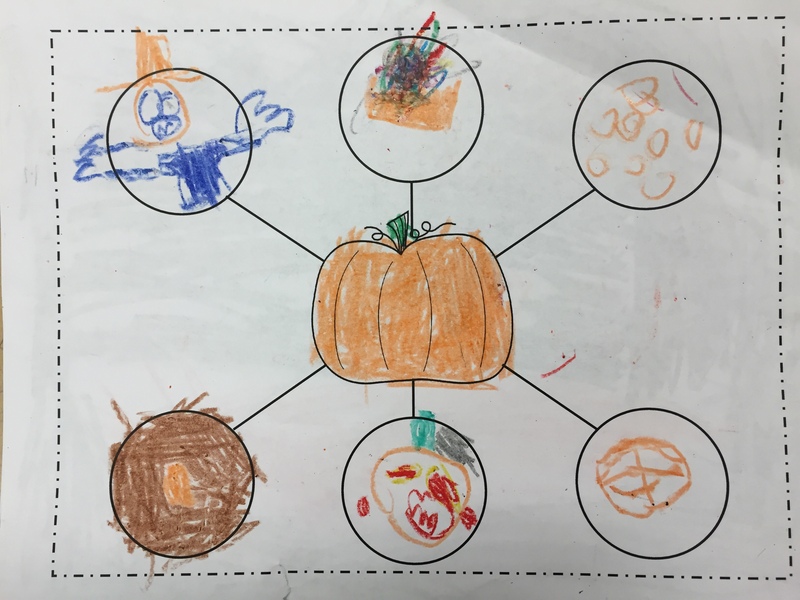 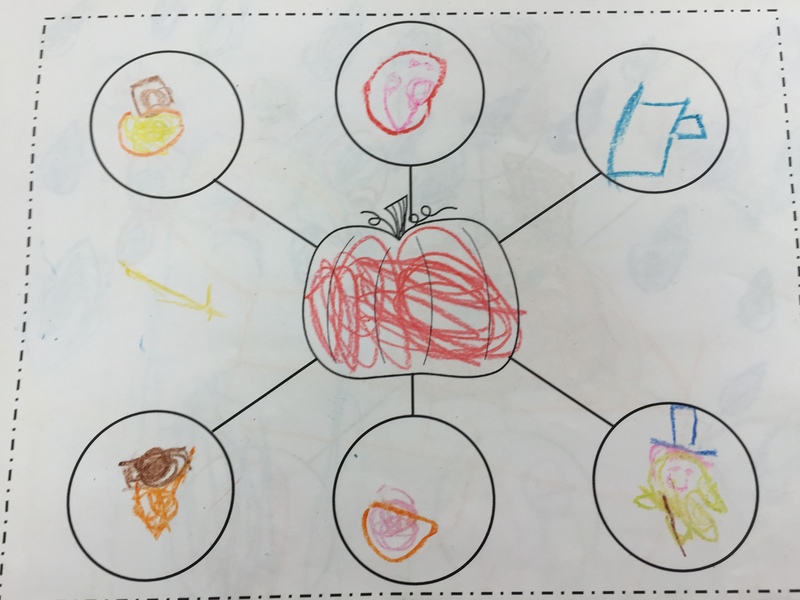 We started out reading nonfiction books about pumpkins, then we filled out a web thinking map about things we can do with pumpkins. 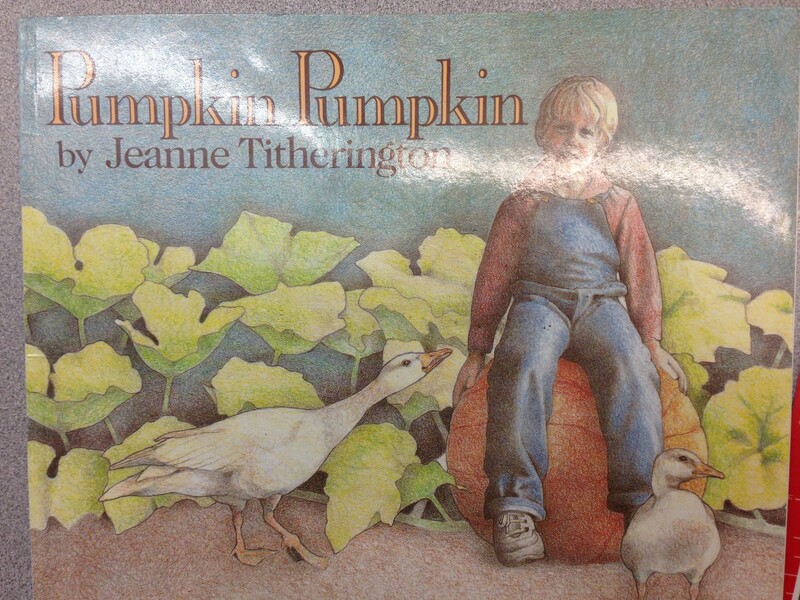 Then we read “The Biggest Pumpkin of All” and I brought in a pumpkin so that students could investigate the pumpkin. 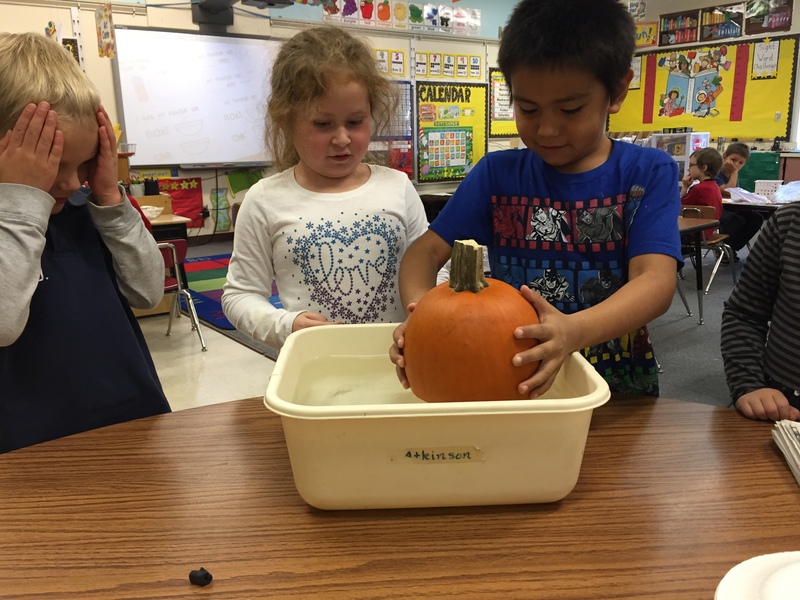 They measured the pumpkin using connecting cubes, tested to see if the pumpkin floats, and explored the inside and outside of the pumpkin. 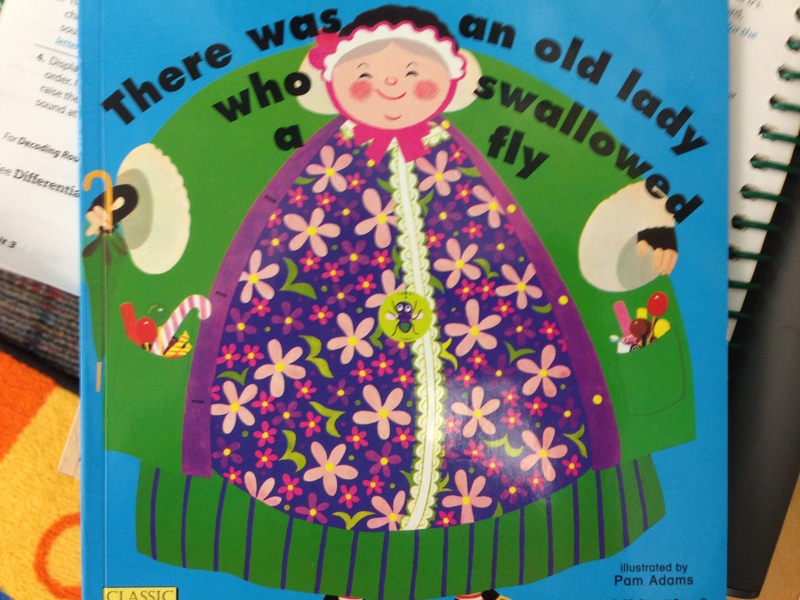 We read the story An Old Lady Who Swallowed a Fly and retold the story by shoving animals into an old lady puppet’s mouth. 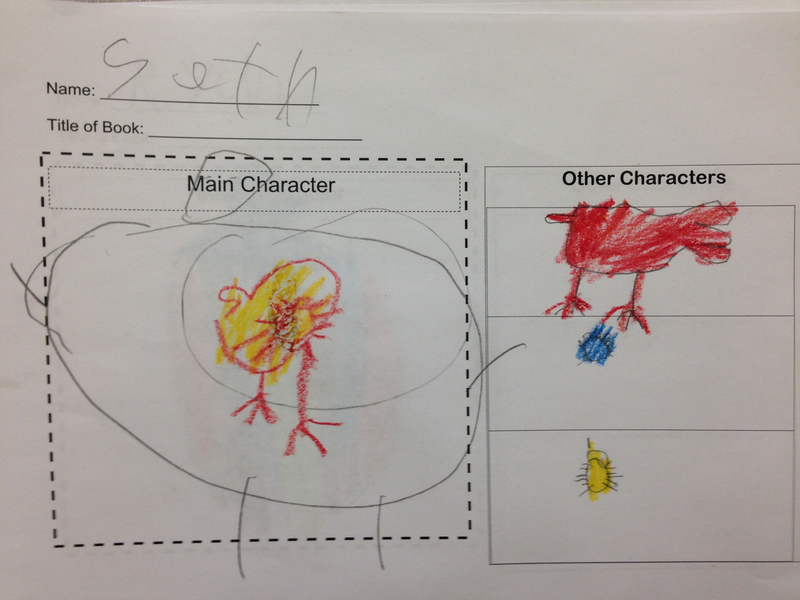 Then we discussed characters of the story and talked about what a main character is. 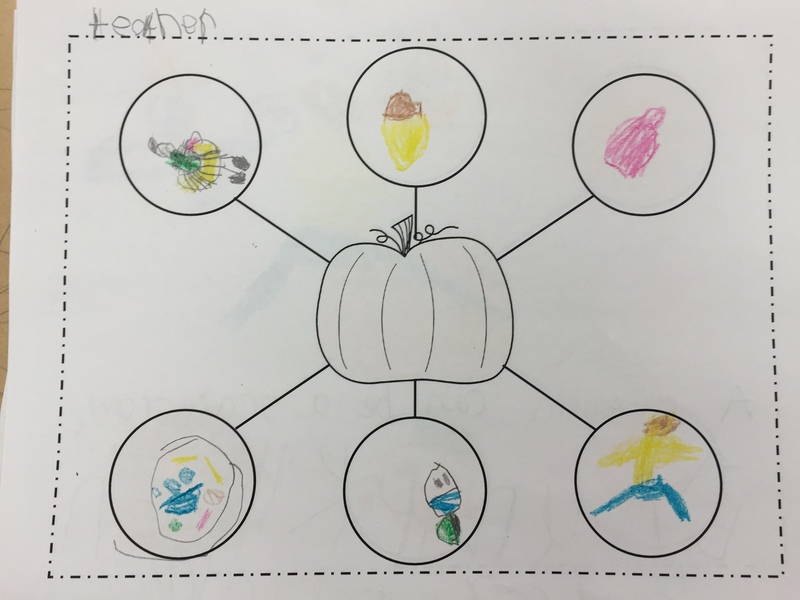 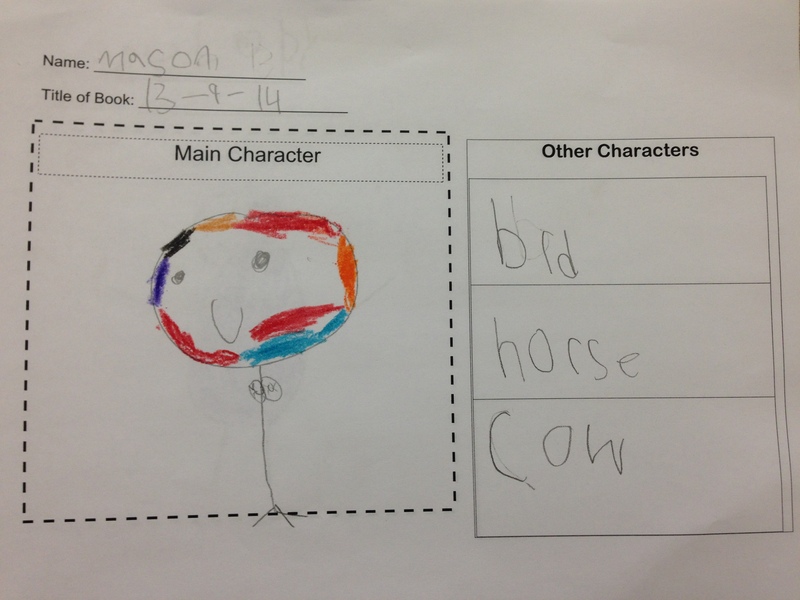 We drew illustrations or wrote the main character as well as three other characters in inside the story to make a character map. 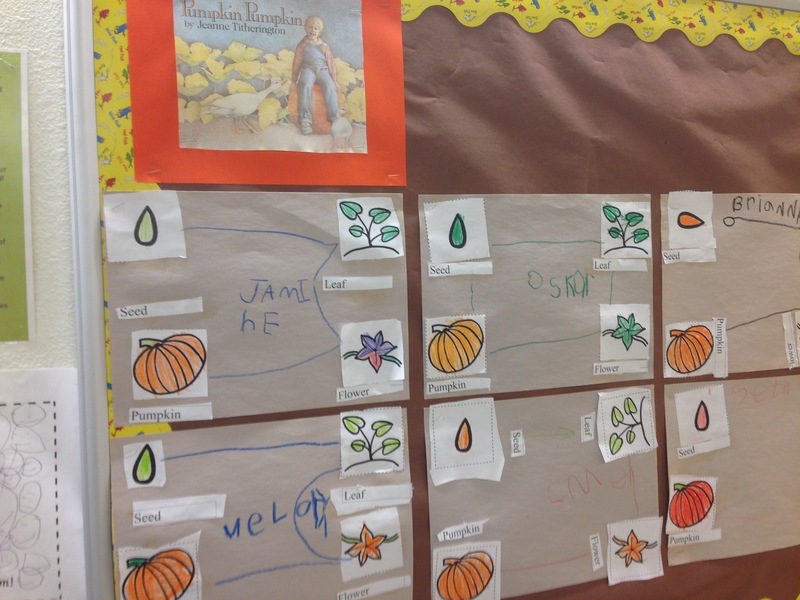 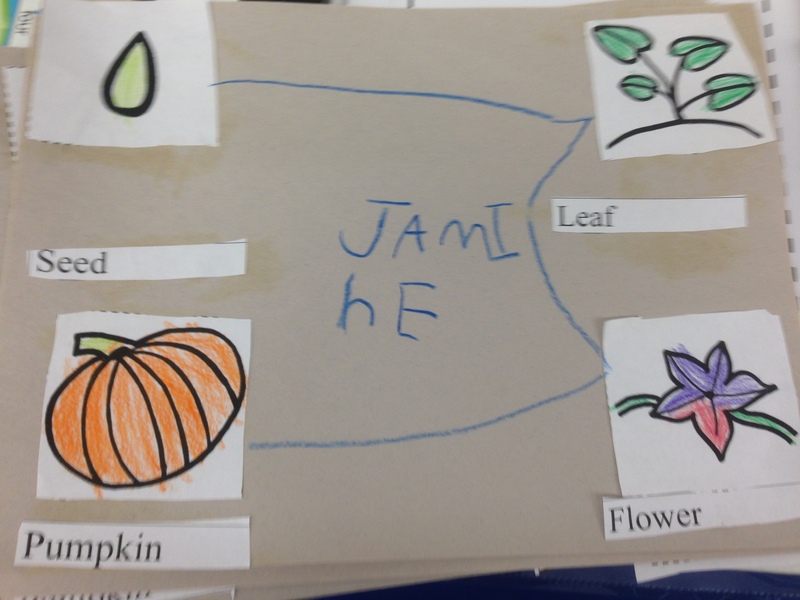 We read the book Pumpkin, Pumpkin and discussed how the pumpkin didn’t start out as a pumpkin but as a seed. 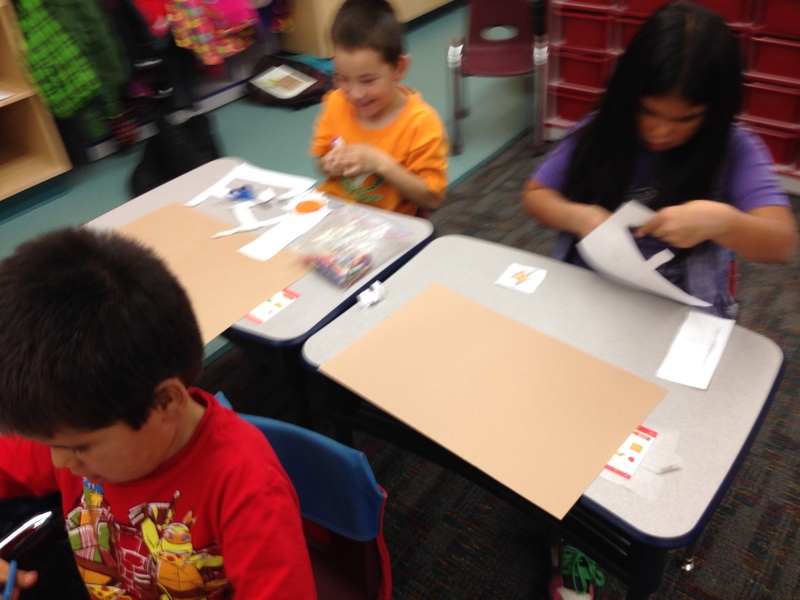 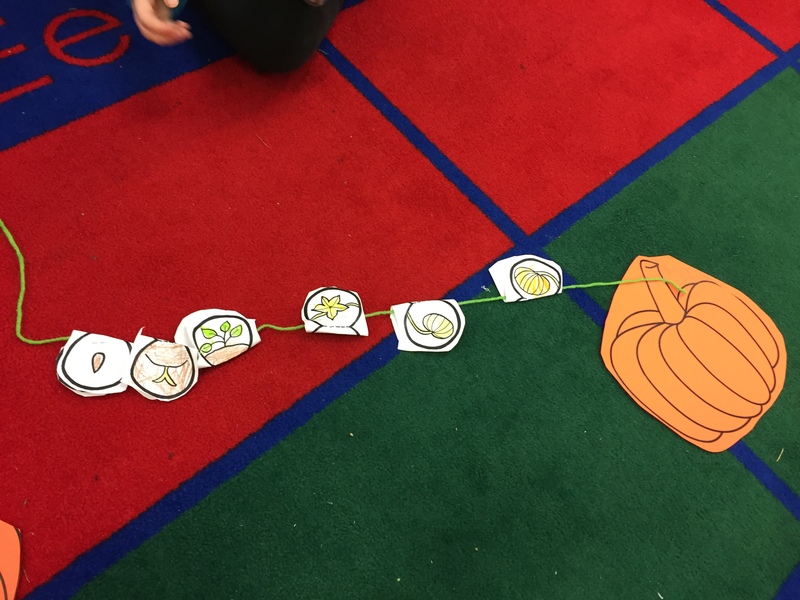 We retold the story by making a model of the life cycle of the pumpkin. 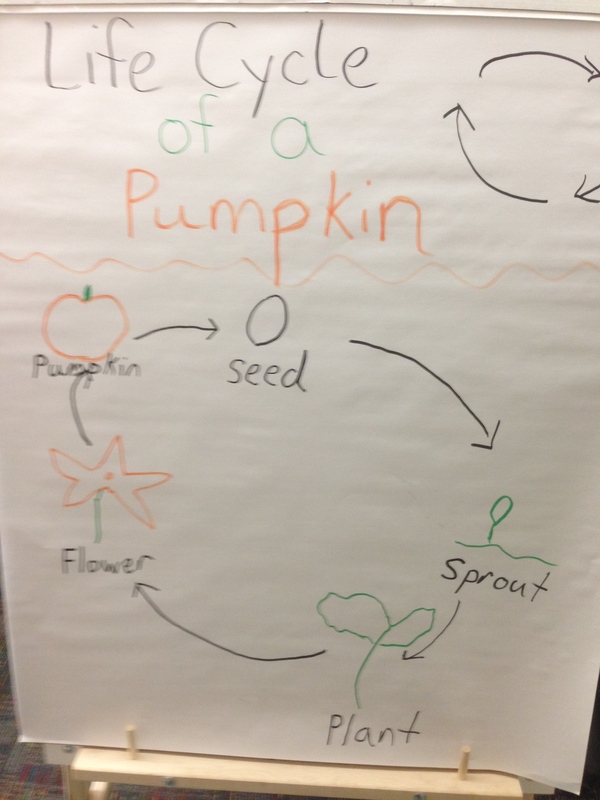 We read Pumpkin Pumpkin and talked about the life cycle of a pumpkin and remembered what we read in the story. 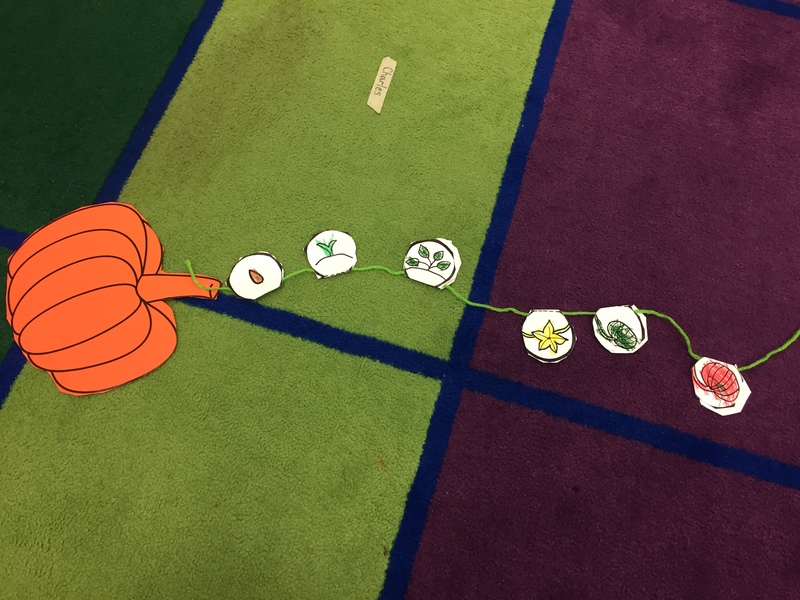 The students then made a model of the life cycle.